This venue appears as the headquarters of ‘Corn Entertainment’, Kang Joon-hyuk’s (Sung Hoon) agency in I Picked up a Star on the Road/I Picked Up a Celebrity from the Street (나는 길에서 연예인을 주웠다) (Oksusu, 2018) — as seen in episode 1. 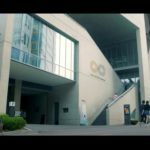 This center appears as Lee Doha’s (Lee Sang-yoon) office building in About Time (멈추고 싶은 순간: 어바웃타임) (tvN, 2018). 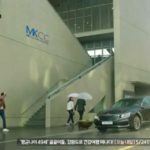 Outside the building is where Choi Michaela (Lee Sungkyung) shared her umbrella with Lee Doha as an attempt to make him “fall for her” in episode 2. In the same episode, Choi Michaela applies to be Lee Doha’s new chauffeur. Both the inside and the facade of the building were used in the drama. JCC Art Center [JCC 아트센터] is not only an art center which has its own exhibition and concert halls but also a venue for lectures. 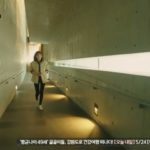 The building was designed by Japanese architect Tadao Ando and is located in Seoul’s neighborhood Hyehwa [Hyehwa-dong/혜화동] in the Jongno District [Jongno-gu/종로구].